Today's post is my contribution to the June 2013 Gifted Homeschoolers Forum Blog Hop. This month's topic is "Homeschooling With/Without a Partner." More links are at the bottom of the post. When I began my research for my book about working homeschool parents, I made a special commitment to spotlight the "unsung heroes" of home education: single parents. For starters, I was struck by the fact that their demographic is given so little attention in "how to homeschool" manuals. This type of marginalization is unfortunate because as more and more families choose to homeschool, we inevitably will attract more single parents to the home education sphere. As more and more single-parent homeschool families appear at our play groups and homeschool co-ops, how can we--as a community--help them succeed if we don't know what works for their particular family structure? Second, and anecdotally speaking, single homeschool parents (mostly women) are more likely to work outside the home and therefore have a unique perspective on the homeschool lifestyle. In other words, I think that they can teach the rest of us a thing or two about the work/live/play/learn balance. Putting education first. Not only do they prioritize education on the weekly calendar, they make it a priority in their own intellectual lives. Several of the single parents that I encountered while researching the book pursued their own degrees or professional development in tandem with homeschooling. Building communities of support. Be it through online groups or within their communities (and ideally both), these folks know that to succeed with home education, kids and parents alike need a steady flow of encouragement and nurturing in order to flourish. Practicing excellent time management. Since most single homeschool parents are also working homeschool parents, the successful ones keep a watchful eye not only the calendar but also energy levels. They look to create a balanced schedule and work to evade burnout on extracurricular activities. 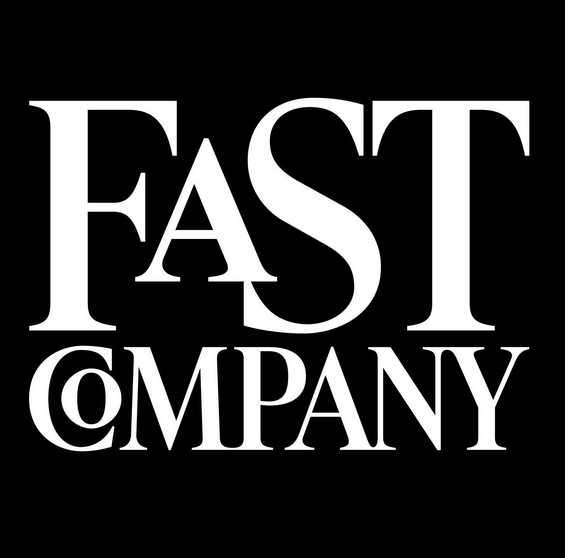 Embracing innovation. Technology is a boon to home educators, be it through access to online courses or through the use of iPhones to monitor what's happening at home from one's desk at work. For single parents working outside of the home, technology--used wisely--can be a useful tool. Keeping a level head about homeschooling in general. Successful single homeschool parents tend to approach home education one day and one year at a time. They tend to resist "all or nothing thinking" and are open to other alternatives, including traditional public or private schools. This mindset is less stressful and more realistic. After all, one just never knows when change in life might require a change in schooling, and it's wise to have back-up plans in mind--even if one never uses them. Is it any accident that these descriptions fit successful homeschoolers in two-parent households? No. A resilient, determined spirit is a resilient, determined spirit, whatever a person's current relationship status. Are there particular challenges to being a single homeschool parent? Absolutely, which is why I dedicate time to discussing this demographic in the book, if you're interested. Right now, however, I'd love to hear your perspective on this topic. Are you a single homeschool parent? What have you learned from your/their experiences? Leave response in comments or over on my Facebook page. A complete list of June 2013 blog participants can be found here later today. I'm completely inspired by homeschooling parents. But, honestly, the idea of single parents who homeschool was something I had never considered. Of course, it makes perfect sense that some single parents choose homeschooling too. Why not? 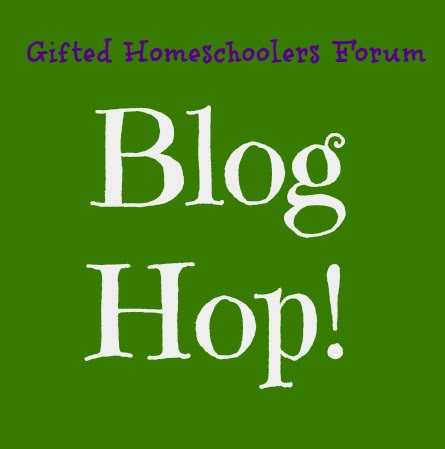 It's great that the Gifted Homeschoolers Forum and this blog hop spotlights this group of parents / educators. As you mentioned, I'm sure I can learn a lot from them. Thanks for the note, Colleen!! It wasn't something that I'd consciously thought of until I was in the park one day, right after I started my research. It struck me how many single homeschool parents that I knew in real life and online--and yet I knew so little about what kept them going. Two of the four parent profiles at the start of the book are by divorced women. Another woman was married buy homeschooled in Yemen while her husband was out of the country and a battle broke out in her town. (So she was functionally single in a military skirmish and she kept on teaching her kids. AMAZING! ) Later in the text there's a few pages dedicated to crowd-sourced single parent profiles. I like to hope that we've made a dent in the literature and begun to give working single parents into the kudos that they deserve! I am a single homeschooling working parent of a gifted child with ADHD. There is very little out there pertaining to any of those groups let alone all of them combined. I applaud your effort to start in the right direction. A single homeschool working parent of a 2E child? I applaud you for the effort and dedication that you demonstrate daily. If you buy the book, I hope you'll make a beeline for end of chapter 3. There you will find three encouraging pages devoted to parents sharing stories similar to you. I am extraordinary grateful to GHF Press for letting me write the book and for supporting our small blogging community to undertake topics like this one. 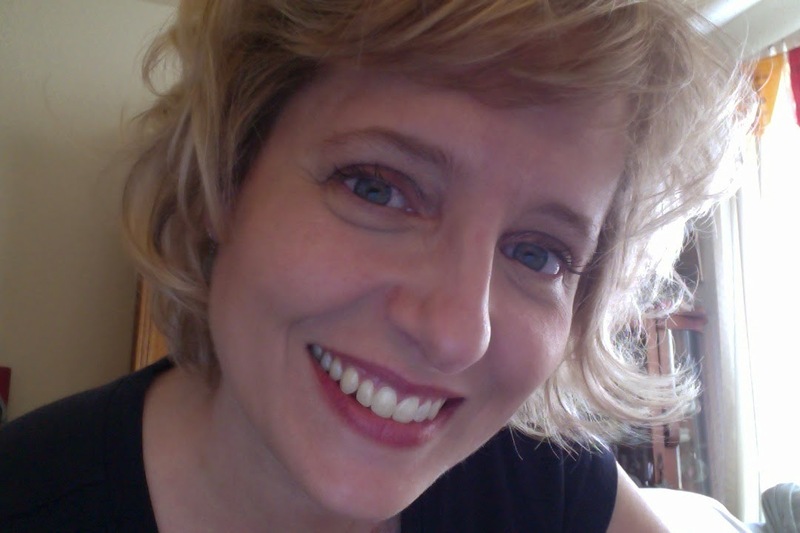 MamaNavyBrat-I also have an Adhd child-recently single-I also think one of the reasons was the fact I had a diificult child which father didn't want to deal with-sad I know. I hope we can embrace/support others out there going thru similiar issues. It is VERY DIFFICULT AT TIMES-ALOT OF THE TIME :)! But I am glad I have the tenacity to stick thru the challenges and persevere. I am thinking of home schooling my 9yr old he is adhd and a few other issues, he has had so many problems in school I don't know what else to do. I work full time and am single so I am hoping to give it a go and succeeded. fingers crossed I feel I am out of options. I am researching how to go about it. I have a good friend who is a single mom and homeschooling her kid while working. I too work outside the home as well as my husband and we homeschool by flipping our schedules and taking turns schooling. The trick with it is flexibility and focus. We as working homeschooling parents have limited groups and support. But we are creative. Thanks for the great note, Anon. Flexibility, focus, creativity... the effectiveness of those traits fits with my research! I too am a single parent homeschooling mom. We are veteran homeschoolers (14 plus years), but have been doing this without a dad/husband for the last 3.5 years. Life does present unexpected (and perhaps even unwanted) challenges to us all. However, it was only because of the end of my marriage that I decided to go to graduate school, that I started a small private school (a homeschool school with other folks children and mine), and that I began doing educational consulting (for a fee). None of these things would have occurred without the abrupt change I was faced with. My commitment to this lifestyle has resulted in less financial resources, but it has strengthened me in ways unimaginable. I have grown to utilize different support systems - friends/family/neighbors - that I did not before. Pouring boatloads of money into resources is no longer an option and because of that have become tremendously more resourceful. This is not an easy path, but it most certainly can be done. Thanks for doing your part! Hi, I just stumbled across your site. I am a single homeschooling parent of three children aged 10, 8 and 6. We are new to home schooling (4th week in) and I now work part time alongside their schooling. This is the best choice we have made for our family. I would like to find more support networks though as I only know one other single parent home schooler. I have learnt that nothing is impossible and even as a single parent I can still pursue your life goals. We are on a journey and really enjoying it. You can read more at www.1point3family.com if interested. Great post! I am a single parent (the father isn't in the picture at all) who works full time, and homeschools. My son and I are in our second year of homeschooling, and BOY was that first year tough! I think the hardest lesson I had to learn, was that of re-teaching myself what schooling really is. It doesn't need to be a long process each day, and it doesn't require copious amounts of lesson plans and structure. Most importantly, it should be fun and interesting--and if it's not, something is wrong! Once I began figuring that out, it was much easier to fit homeschooling into our lives. I actually work the graveyard shift, so there's the added stress of sleeping 6-8 hours (if I'm lucky) of the day away. I make the other hours of the day really count, and allow for those stressful days when school needs to be as simple as a trip to the park. This is a great post! I am very glad I came across it. My wife and I home schooled my son when he was in middle school and high school. He had some serious learning problems when in a class room environment so we thought it was the best thing for him. It ended up being a great decision because he improved his grades and learned great. Because of this method he decided to do online classes for college because he liked learning at home where he feels comfortable. I'm a single mother, working full time, working on my SECOND Master's Degree and homeschooling my gifted 6 year old boy. His giftedness makes it difficult to put him into public schools where he would receive little support to keep him engaged. Our area doesn't have support for giftedness until much, much later. On top of that, he is VERY high energy which led me to believe one thing: in public school he'd be bored and finding his way into trouble. In my view, it is less time consuming to work at home than go to a teacher meeting every week about how he can't sit still and be quiet. So, he is working on a second grade level for his reading, third grade for math and social studies and fourth grade for science concepts!! He is learning french and we take time to travel (to include Paris next October.) I work nights (1400-2200) and my best friend keeps him in the evening until I get home. This allows me to spend the most productive hours with him and makes it much easier to find someone to keep an eye on him during times when traditionally schooled children often need care. You'd be amazed how hard it is to find a caretaker for a child older than 4 during "school hours." Most of all it's a lot of fun. I get to wake up and snuggle my baby every morning which gives the feeling of being stay at home even though I work. Next year, my military family may be moving closer and then my mom will help with the homeschool and watching him in the evening. Right now, I have NO family in the same state. :o( It just makes us more creative and we are much closer for having to solve our problems as a team. This story is so very marvelous. My I share it on the blog as a separate post? 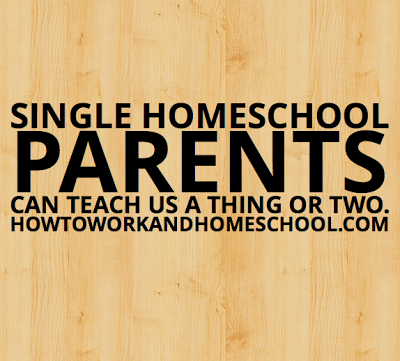 I really am passionate about highlighting the successes of single parents who homeschool. Let me know. And thank you so much for your story. This is so encouraging to me. I am a single mom of a 6 1/2 year old girl, and she is just finishing her kindergarten year at a public school. While the games and pe dance, end of year programs, etc. are fun, I know she has struggled with being far above her classroom level. This has caused her to finish her work early and typically get in trouble for goofing off and talking. She has excessive free time and comes home with all of her work having been drawn on the back, and disinterested in anything she learned in school that day. My daughter also has an interest in the arts (dance, music, theatre) and sports (tennis, gymnastics), a lot of which are only available during the day, leaving school early. This is what brought about my idea to homeschool her even though I am not a SAHM. Additionally, I think the amount of homework given, added to being in school from 7:45-3:00 is absurd; I feel having her home with me, while I work at night or during the day with the support of a parent of mine, she and I would both benefit from the additional quality time and her individual attention. It is so great to read this positive post. Bless you & I hope my story will encourage someone who is contemplating SM homeschooling! I am giving a presentation next week on single parent homeschooling for the VAHomeschoolers.org convention (I have survived and graduated my 2E daughter) and would like to quote this and refer people to this blog and need permission. Oh, dear. I just saw this comment. Yes, you have my permission. Thank you for asking so graciously. I am a single parent to two great kids 6 and 3 yrs. I run a home day care out of my home. The most difficult part for me is the lack of stability in income with childcare...as one child comes another goes and it is very difficult to budget this way..but not impossible. I would love to learn about other work from home opportunities that are not scams and would allow me to make enough money to pay all the bills and be home to educate my children. Thank you for your post! I am a single parent/grandparent raising my 7 yr old grandson with ADHD. I had homeschooled my now grown children while married to their father, so homeschooling is not new to me.However, being single, and aged 58, and working full time, all presented new challenges. I was saddened upon my search so far, to realize that things really haven't changed enough in 20 years. If you have money to burn, there are some great options online, utilizing classroom settings, or creative video classes with lively characters to keep things entertaining as well as educational. But for single parents in particular, spending that kind of money to home school is not an option. I am aware of the myriad of resources outside of these, of course and we chose to implement one of them instead. But speaking in general regarding single parents, I have found that most of my divorced friends, have been threatened with court action by the ex husband, for homeschooling. It seems more of a concern, if this schooling is not affiliated with an accredited school. The fear of not having the funds to fight in court, or lose their child, looms large. I believe that may be one reason we do not see more single moms homeschooling. perhaps you can include in your blogs if you haven't already, about one of the home school defense organizations as well ? I do know of one, that I was made aware of when my grown children were home schooled. They are called the home school defense league if I recall. Their website is www.hsdla.org and is non profit, if this helps any parent out there who wishes to home school and has a pending court issue, or just wants the information, for a future need. This will definitely help all the parents to home school their child. Children will definitely earn a special degree through home school. I am a single mom, homeschooling my two amazing kids against my ex's wishes. But we are pushing through my work schedule and coming out better people for the discipline and the time together. We are a new family now-free from the weight of a traditional schedule. I look forward to reading the book-because yes, mama reads too! I am a single homeschooling mama. I had some work for the past couple years, wasn't ideal financially or otherwise... now on a new path, grade 3 and I need full-time work, but have little to no support... glad I popped by and caught this! !